In the month of November last year, Mahindra owned Classic Legends relaunched the famous Jawa brand in the country. With the re-launch of the brand, we saw two brand new lovely motorcycles, the Jawa and the Jawa 42. With the aim of creating a sense of nostalgia amongst the Indian audience, the revival of the Jawa brand was an important mark in Indian motorcycling history. The motorcycles too, are very nice but there was only one problem back then. Being a completely new brand, there was no existing dealership and servicing network of the brand. Even during the unveiling of the motorcycles, there was no physical showroom open and customers had to book their motorcycle online. From there, in a matter of a few months, the brand has 99 showrooms present across the country. The Twitter account of the brand recently announced the opening of their next 4 dealerships in the cities of Tirupathi, Hubli, Jamshedpur and Tinsukia. Breaking the century mark, with a total of 103 dealerships very soon, the brand is on its path of fulfilling their promise of having 105 dealerships across the country in their first phase of operation. Running at full capacity of production, the Jawa brand has bookings for bikes made till September of this year. This translates to a rather long waiting period for enthusiasts wanting a piece of nostalgia in their garage. As of now, the brand only has 2 bikes on offer, and will soon bring a bobber in their line up called the Perak. Both the offerings, the Jawa and the Jawa 42 use the same engine. This liquid-cooled, DOHC, single cylinder, 293 cc engine is rated to produce 27 hp of maximum power and 28 Nm of maximum torque. The power is sent to the rear wheels via a six-speed transmission. Suspension duties are taken care of by conventional telescopic forks in the front and twin shock absorber at the rear. While a single channel ABS is offered as standard with both bikes, customers can pay a little extra to get a dual disc variant with dual channel ABS. 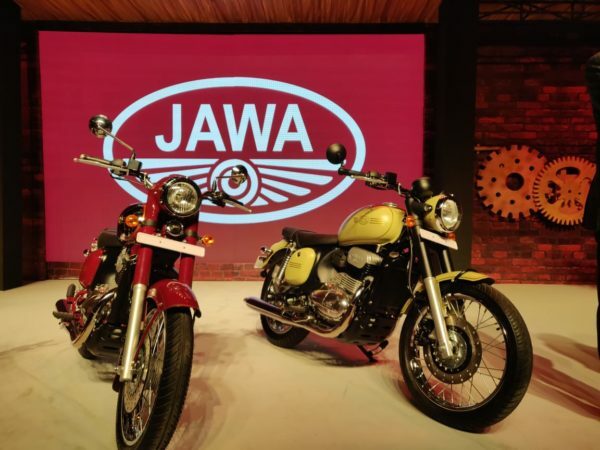 Price of the Jawa 42 is INR 1.55 Lakh and that of the Jawa is INR 1.64 Lakh, whereas the dual disc variant of both these models attract a premium of INR 8,000.